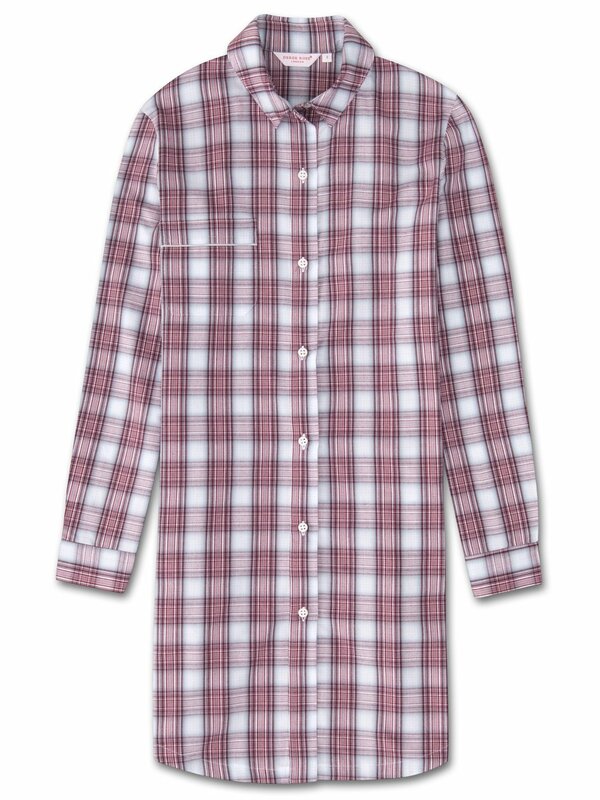 A classic check is updated into a fresh design with burgundy, pink and gray stripes that form into a checked pattern and ensure this nightshirt will remain in your sleepwear wardrobe for years to come. Ideal for the cooler months, you'll want to jump into this shirt as soon as you get home. When designing our women’s nightshirt we wanted to recreate the feeling of putting on a man’s shirt. The oversized cut makes you feel a little bit dainty and the formal collar and cuffs juxtapose with the relaxed fit for a stylish yet comfortable piece of nightwear. Crafted from a medium-weight, pure cotton, the Ranga 34 fabric is brushed using a unique technique for unbelievable softness and warmth without being heavy or bulky. 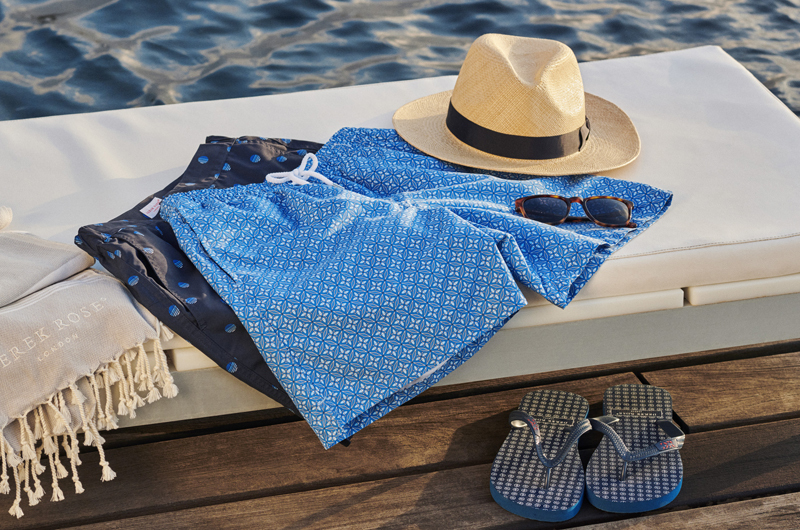 The Ranga 34 nightshirt features a white piped breast pocket and hidden inset side pockets for practicality and style, side vents for added comfort and mother of pearl buttons for an added touch of luxe.